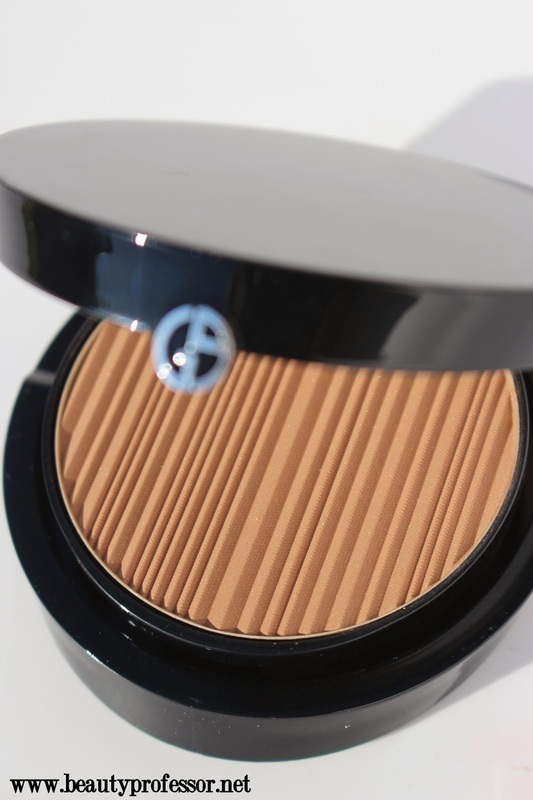 Above: The Chanel Les Beiges Multi-Colour Powder #01...an undeniable summer staple. (1) How gorgeous is the Chanel Les Beiges Multi-Colour Powder #01 for Summer 2014? I demonstrated how I like to use it in my Current Morning Routine Video and still am smitten with its blush-bronzer-highlighter trifecta. Definitely a splurge worth indulging in! Above: With the effervescent Le Metier de Beaute Director of Color Mikey Castillo at Neiman Marcus Fashion Island last month. (2) Next, the Camp Gorgeous event at Neiman Marcus is in full swing now, through June 15th. Take a peek at my recent Le Metier de Beaute Dark Orchid Kaleidoscope post for more details as well as ideas on how you might like to imbibe in this summer shopping tradition! (3) Urban Outfitters is currently offering FREE SHIPPING through Tuesday 6/10. I have been loving their Beauty Department for access to a host of difficult-to-locate lines including Lime Crime (reviewed HERE) and Daniel Sandler (reviewed HERE). Above: This bronzer is a perfect marriage of form and function. (4) Current obsession: the Giorgio Armani Sun Fabric in #100 is fast becoming a new favorite bronzer in my lineup (latest FOTD with this in action can be found HERE). Visually stunning and ultra finely-milled, I am finding myself reaching for this foolproof golden tan wonder on a daily basis. Full review with swatches soon! Above: Silky locks with an intoxicating scent..loving this formula! (5) I've been using a lot of the Moroccanoil Volume Shampoo and Conditioner lately...this rich formula is so nourishing for my hair and, like the cult-classic Moroccanoil, the scent is divine. Have you tried anything from this line? 1. Visit your nearest ULTA Beauty location and stop by the Mally Beauty product station. Don’t be shy! Take the perfect selfie with the life-sized Mally cut-out on your mobile device. 2. Upload your selfie to the Mally Nation Sweepstakes Facebook app and provide the following details: your first and last name, email address, and your participating ULTA Beauty store—a drop-down menu will allow you to choose a city, state and ULTA location. Upon entering, don’t forget to check your selfie on the Mally Nation Gallery located here: http://bit.ly/MallyNationSweepstakes. Above: The Amore Pacific Green Tea Treatment Oil is light yet ultra-hydrating and can be used for ever skin need imaginable, from moisturizing to adding a covetable glow on the cheekbones (just tried this strategy today!). (7) Last week, I had the chance to attend an Amore Pacific master class at Neiman Marcus...this Korean brand's commitment to healthy, effective skin care is truly remarkable and the integration of green tea as a proprietary ingredient is fascinating and intriguing! I can't wait to share more about this afternoon in a forthcoming post (soon!) but wanted to give pre-emtive mention to the Green Tea Treatment Oil which has the lightest, most instantly absorbed I have encountered to date. (8) Magnificent news...the previously limited-edition Hourglass Ambient Lighting Palette (fully swatched and reviewed with a video to boot HERE) is now finally back in stock at Sephora! This breathtaking trio of magical bronzers and illuminators bathes the skin in a warm radiance that is truly customizable. It is a must for Hourglass lovers and bronzing/illuminating devotees alike! Above: If freshness had a name, it might be Verbena Infusion. (9) The Laura Mercier Verbena Infusion Gel Body Moisture has been a welcome addition to my skincare routine lately, especially since the air has quite been hot and dry at times. This extremely potent formula feels light as air upon application and is absorbed instantly, leaving a smooth, balanced skin scented with the freshness of verbena in its wake. It is a stirring experience for the skin and the senses! Have you tried? Above: The lush, whipped cream-meets-gel formula feels light yet extremely hydrating. Above: Napoleon Perdis Digital Marketing Executive Diane Sievert and BP at the Napoleon Perdis Flagship Store. 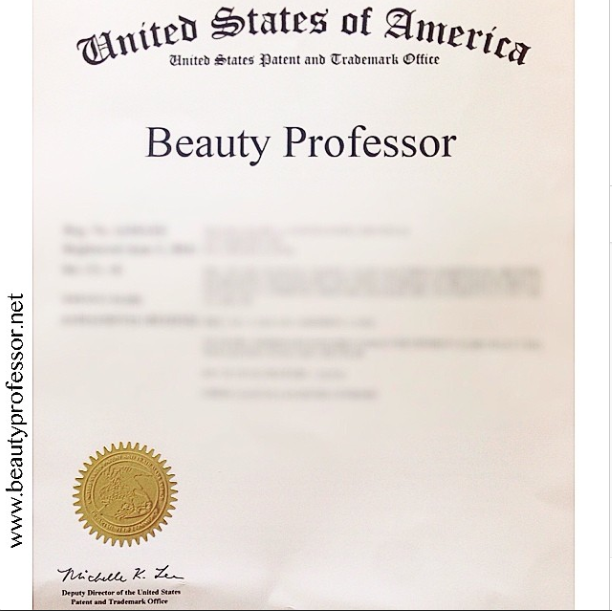 (11) Finally, I am ecstatic to report that the trademark process for Beauty Professor is finally complete...I received the official document on Monday and couldn't be more thrilled that my hard work (and copious amount of Internet research...I filed all the paperwork myself, sans attorney) paid off in such a fashion. Beauty Professor...this is just the beginning! Bottom Line: I hope you enjoyed this latest installment of Office Hours and can't wait to share more beauty reviews with you in the coming days...foundation and lip color profiles a plenty as well as a skincare update and a beauty travel post, all in the imminent future! Thank you so much! Your friendship and support mean so very much to me...xoxo and much appreciation for sharing BP with others! Thanks for the question and compliment! My booties are Freebird by Steven (style name: Hammer) and I got them at Anthropologie.